Zack Wheeler silenced any concerns that he might be fatigued in the Mets’ 9-4 win over the Phillies on Monday night at Citizens Bank Park. Wheeler, the club’s’ breakthrough pitcher of the second half, powered through a rough fifth inning to again go deep into the game, this time lasting seven frames. Robert Gsellman, Daniel Zamora and Drew Smith came on in relief to preserve the lead provided by Michael Conforto’s double in the seventh. 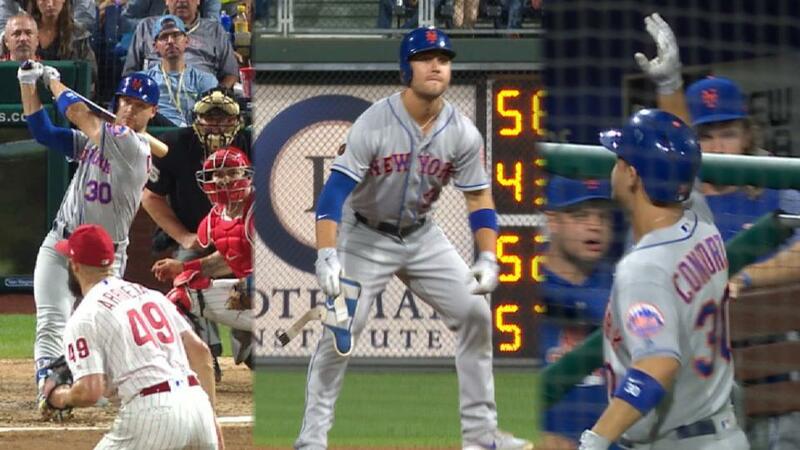 Conforto added a three-run homer in the ninth and finished with a career-high six RBIs.